What thoughts or habits help you stay focused on your kids when you’re with them? You need to give your children your best time and attention—not your leftovers. Dad, what are you focused on today? An important project at work? Some weekend activity that’s planned? A “honey do” list you need to work through during the next few days? Maybe a vacation that’s a few months away? As men, we’re pretty good at compartmentalizing our lives—we can give ourselves completely to something now and then put it to the side later on. But for whatever reason, it’s tough to shift our focus back to our families when we walk in the door at home. We need to give our children our best time and attention—not the leftovers. What about you, dad? Would you describe yourself as “focused” or just “hanging around” the house? Being available is important, but we must also engage our children more directly, more often. This is a challenge for me. When I come home after being on a trip or just a long day at the office, often it takes real effort to focus on my family members, but that’s exactly what I and each of us need to do. Our kids deserve our very best. When we’re with them, we need to really be there. What do I mean by “focus”? I think about times in everyday life when I’m meeting new people, seeing old friends or speaking to groups. I’m very conscientious about how I act and what I say. I look people in the eye, give them my full attention, and try to ask thoughtful questions. I’m definitely not sitting back, folding my arms, acting like I want to be left alone. And for sure I’m not looking for reasons to be critical or point out things that need to be changed. No, in those situations I’m on my best behavior, trying to engage and connect. If I can put that focus and energy into those interactions out in public, don’t my family members deserve at least that much effort from me? Have you ever been talking to someone and they seem to be thinking about something else—or they take a phone call or answer a text in the middle of the conversation? How did you feel? Probably the same way our children feel when we allow some passing fancy or distraction to take us away from being engaged with them. 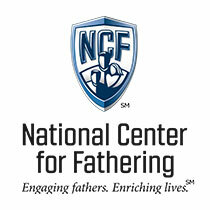 Dads, our children yearn for our focused, interested attention. Whenever we’re with our kids, let’s really be with them. What habits or thoughts help you stay focused on your kids when you’re with them? 1 When talking with your child, give him your full attention. Look at him in the eyes. Make a point of turning off the TV, sliding away from the computer, or putting down your phone or tablet. 2 Ask thoughtful follow-up questions to show that you were listening to your child and to draw her out more. 3 Consider your body language. What does your position and posture, your arm positions, and your facial expressions communicate about how interested you are in what your child is saying? 4 Ask your kids what they think gets your undivided attention. If you’re like me, their answers may reveal that you have some work to do in this area. 5 Even if your child is preoccupied or doesn’t appear to want to talk, at least try a question or two about his day.